Calgary, Alta. – Hockey Canada has named 14 Western Hockey League players to its selection camp for Canada’s National Men’s Summer Under-18 Team, which will compete at the Hlinka Gretzky Cup in Edmonton and Red Deer from August 6 to 11, 2018. 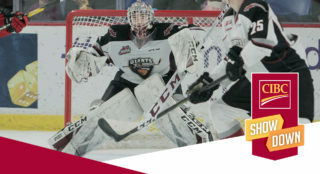 Included in this year’s selection camp roster are Vancouver Giants defenceman Bowen Byram and Edmonton Oil Kings defenceman Matthew Robertson who were part of Canada’s National Men’s Under-18 Team that competed at the 2018 IIHF U18 World Championship in Russia last April, going undefeated in preliminary-round action. The selection camp roster also includes a pair of WHL Champions in defencemen Jake Lee (Sherwood Park, Alta. / Seattle Thunderbirds) and Jacson Alexander (Victoria B.C. 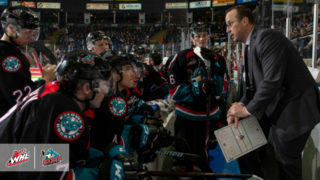 / Swift Current Broncos), who won titles with their respective clubs in 2017 and 2018. Also invited is defenceman Braden Schneider (Prince Albert, Sask. / Brandon Wheat Kings), as well as forwards Peyton Krebs (Okotoks, Alta. / Kootenay ICE) and Sasha Mutala (Vancouver, B.C. 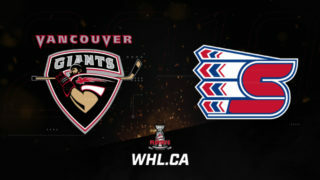 / Tri-City Americans). The trio captained Canada’s three teams at the World Under-17 Hockey Challenge in November 2017. Forward Dylan Cozens (Whitehorse, Yukon / Lethbridge Hurricanes) was named the recipient of the Jim Piggott Memorial Trophy as the WHL’s Rookie of the Year at the 2018 WHL Awards. 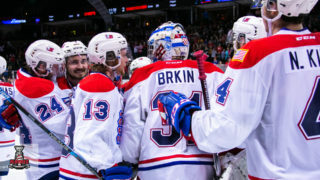 Last year, six WHL players were part of the 21 Canadian Hockey League players who won gold at the 2017 Ivan Hlinka Memorial Tournament, including Ty Smith (Lloydminster, Alta. / Spokane Chiefs), Jett Woo (Winnipeg, Man. / Moose Jaw Warriors) and Calen Addison (Brandon, Man. 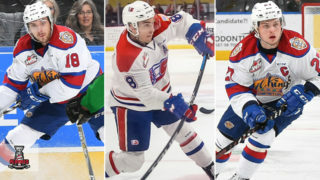 / Lethbridge Hurricanes), all of whom were all recently selected at the 2018 NHL Draft this past weekend in Dallas, Texas. Canada has won gold 21 times in 27 years of summer under-18 competition. Newly rebranded as the Hlinka Gretzky Cup, the annual tournament is one of the only true, best-on-best competitions for this age group. 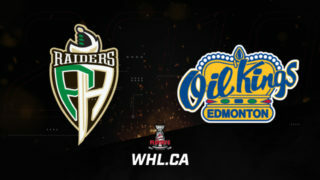 While the event is being co-hosted in Edmonton and Red Deer, Canada will play all of its games out of Rogers Place in Edmonton, except for a pre-tournament game against the Czech Republic slated for 7 p.m. on August 4 at the brand-new Servus Arena in Red Deer.